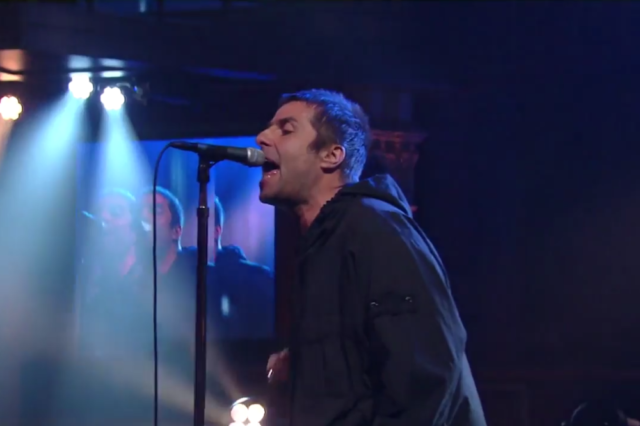 Last night, Liam Gallagher performed two songs off his forthcoming solo album on the Late Show with Stephen Colbert, “For What It’s Worth” and “Wall of Glass.” He wore a raincoat, sang, and played some shaker. Gallagher also tweeted some rather interesting stuff last night, which you can find here. Watch “For What It’s Worth” and “Wall of Glass” below.